Hold onto your donuts! Season 16 of the “The Simpsons” — the longest-running scripted show in television history — includes all 21 hilarious episodes, tons of meticulously slapped together special features, plus a veritable who’s who (woo-hoo!) of celebrity guest voices, including Fantasia Barrino, Jason Bateman, Gary Busey, James Caan, Stephen Hawking, Eric Idle, Jane Kaczmarek, Lucy Liu, Liam Neeson, Amy Poehler, Ray Romano and plenty more! 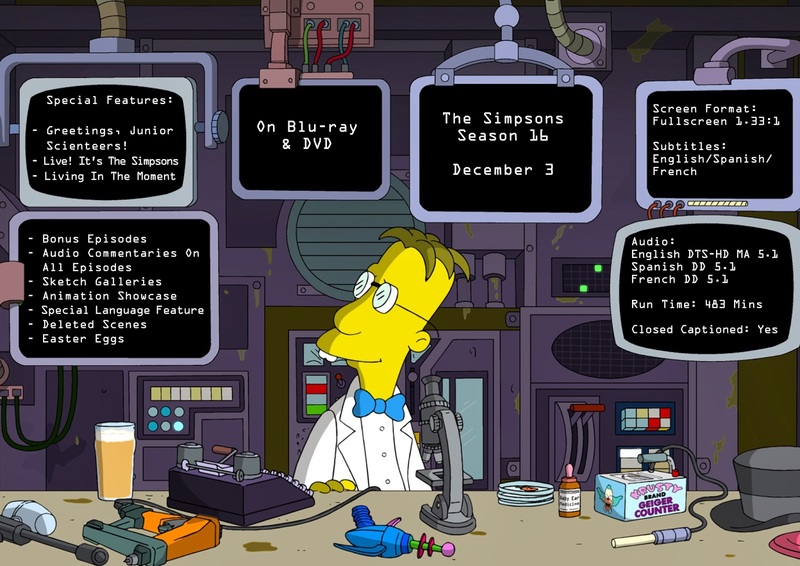 Who hasn't seen The Simpsons before? This long running popular show just keeps going and going and keeping up with current events in the world. I love that none of the characters have aged and how they still keep up to date with all the big events going on in our world today. From music, to news, the Simpsons is one show that can always make me laugh and season 16 on Blu-ray is no different with tons of celebrities making an appearance on the show. The relationship between this family and the people in their town is hilarious and will keep you entertained for hours. Definitely a great gift to give the ultimate Simpson fan for the up coming Holidays! Disclosure: All opinions are my own. 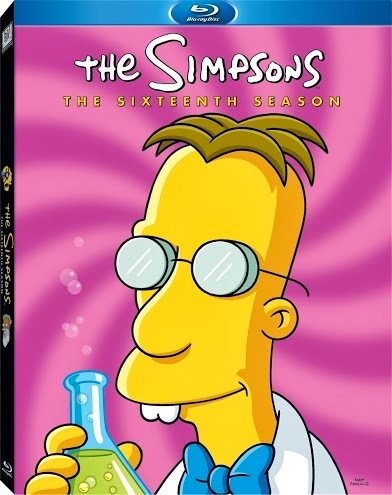 I received The Simpsons Season 16 at no cost for the purpose of this review. No other compensation was received.